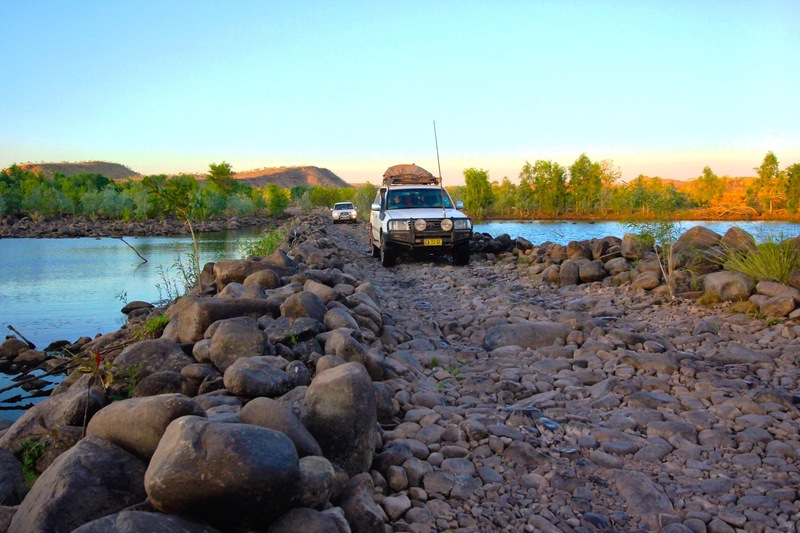 In September of last year we were camped at El Questro in the Kimberley, in the far north of Western Australia. 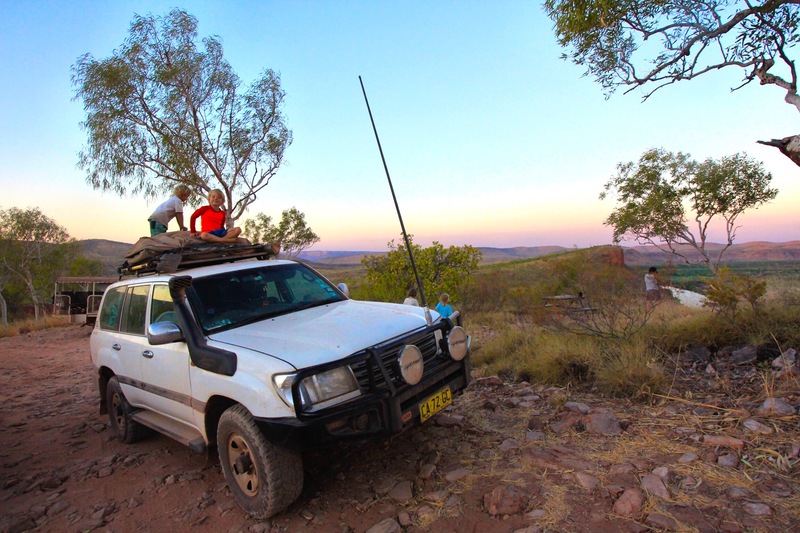 We were traveling with a few other families and collectively we decided to do a 4 wheel drive up to a lookout for sunset. 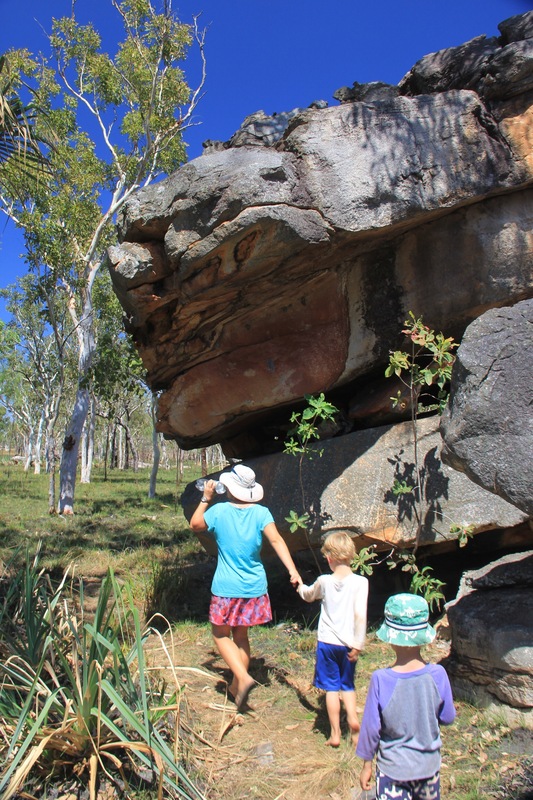 Jay was working, so the boys and I headed off in our trusty Land Cruiser, Cave Lion. 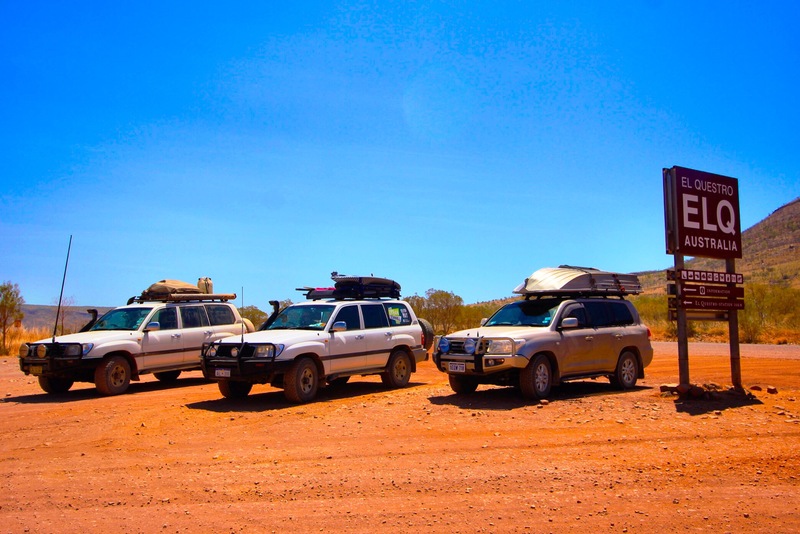 We joined a convoy of 3 other cars – 2 of whom we had traveled with for several weeks and a new family we met that day. On this day I was particularly laid back about going without Jay because we were traveling with other cars. The new family seemed a bit surprised to see me on my own with the boys on the track. I couldn’t help but wonder if they thought I was a bit out of my mind taking the kids on my own. This thought regularly crosses my mind on some of our more outlandish adventures, but that’s part of the fun. However, imagining other people thinking these things is generally unhelpful, so I tried to put it out of my mind. Off we went up the track. It wasn’t a particularly long drive but there were definitely some moments in the car where the boys and I were enthusiastically cheering on Cave Lion as the tires bumped and spun up the steep incline of the loose gravel trail. Lots of excited chatter over the UHF radio and we made it to the top. We were treated to a lovely sunset. Fast forward to this April and I received a message from one of our traveling friends. They had run into that same family who had joined us on the sunset drive. 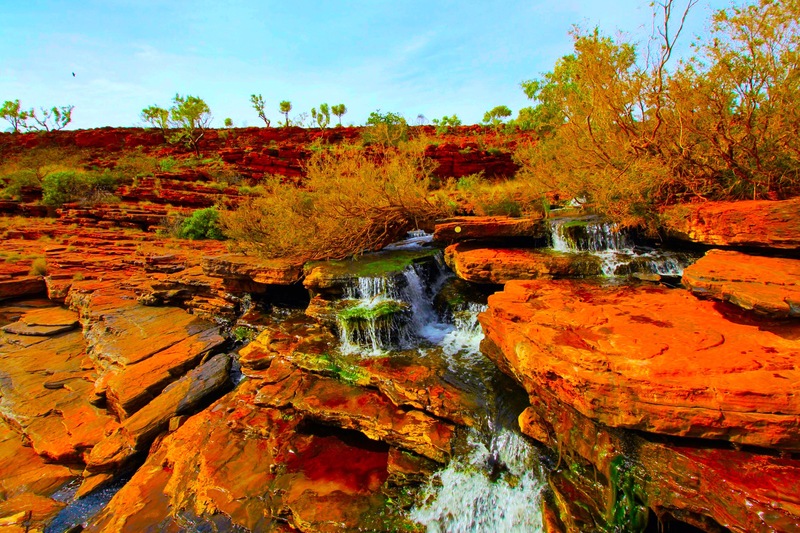 They crossed paths again in Karijini National Park, nearly 2000 kms from our first meeting place. Only this time, she was on her own with her kids. She asked our mutual friend to let me know that seeing me out on my own with the kids has inspired her to take her own (much longer, much bigger!) adventure with her kids. How amazing is that?! There are aspects of this type of trip that I struggle with at times because the broader redeeming value of it can be hard to pinpoint. I try to put a lot of effort into helping other families interested in similar adventures, but it’s always hard to know how much that matters. It was a real treat to imagine that our journey had been a tiny part of this woman and her kids off on an adventure to an amazing national park. Super cool. This weekend I had what truly amounts to an amazing travel event. We are camping a few hours south of Perth in the Margaret River region of Western Australia. It’s a bit off season and generally the campground has been a bit quiet. 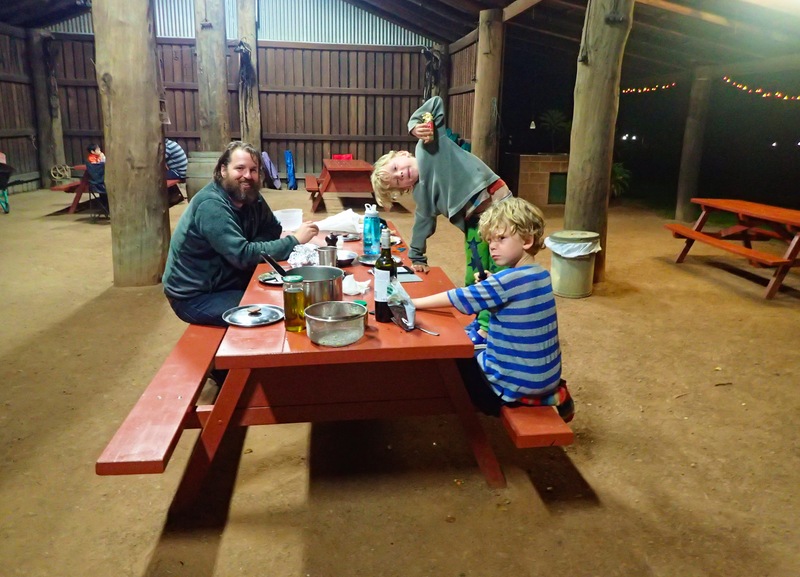 I was cooking dinner in the camp kitchen – taking advantage of the fact there is an oven (woohoo! for small pleasures) – making conversation with some other folks in there. 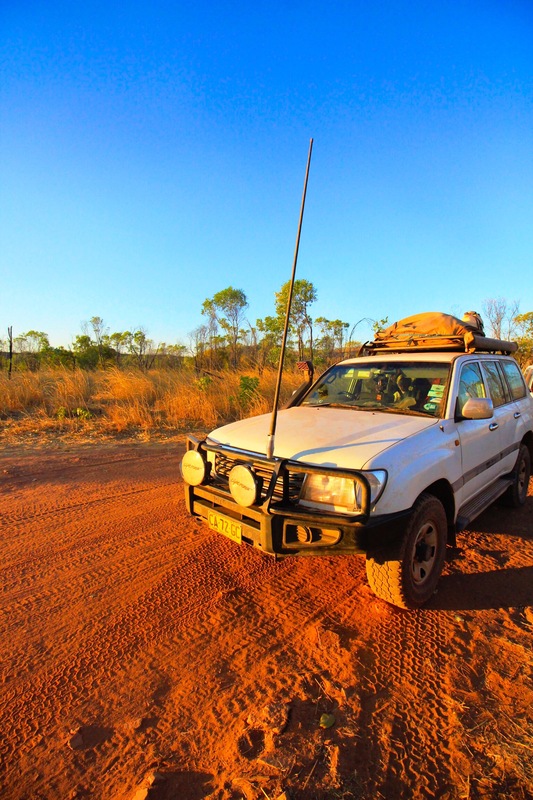 A woman came and joined us at our table and began… “You probably don’t remember me, but…” The same brave woman who had just run into our friends in Karijini was off on a weekend adventure with her family talking to me in the camp kitchen﻿ nearly 3500 kms from our first meeting spot. What a small, amazing world! I left our conversation energized and inspired. Learning about other people’s adventures has a way of making the “I couldn’t,” “people don’t,” “it’s not possible” thinking a little less believable and the “I could,” “we can,” “it could be fun” a bit more approachable. Next time I am debating a bold step on my own with the kids, I will look to her courage as an example. These photographs are amazing!!! This will make a great book when you are done, and probably a movie, too!!! Thanks Melanie 🙂 So nice to see you name here! Hope you all are doing well!! So are you back in Australia? Hi Lynn. We were back briefly. We leave again at the end of the week.